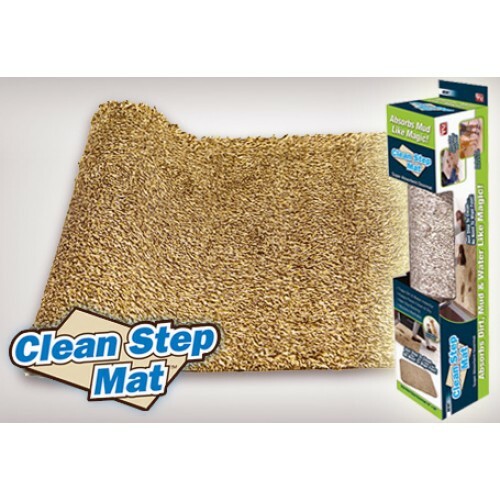 The Magic Clean Step Mat has super absorbent qualities and is great for any family. Just stepping on the doormat alone is enough for mud and debris from the sole of shoes to adhere to the fibres on it, so you don't have to vigorously or even consciously rub your shoes off. 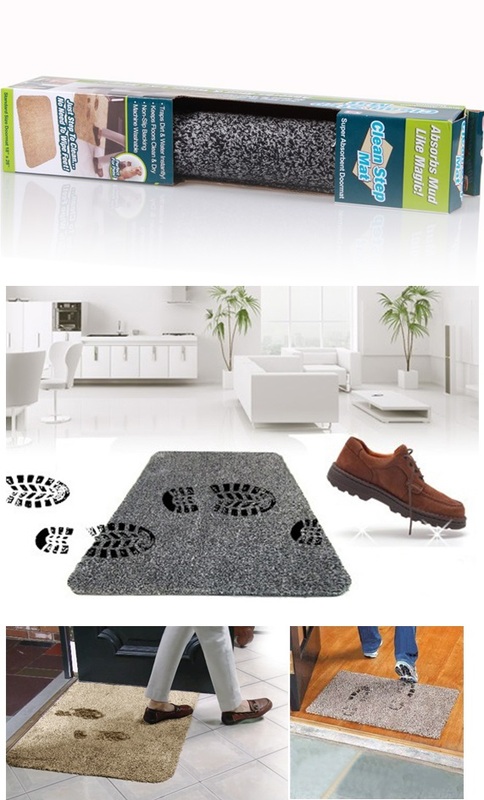 The doormat also has a non-slip latex backing to prevent folks in the family - especially the children and elderly - from slipping, and to ensure that the floor is not subject to scuffing. To clean, just throw it into the washing machine, and it will be good as new again for use anywhere in the house, from the front door to the backyard.